No doubt, 2018 was a hard time for many big name retail brands. But 2019 looks promising for some brands and retailers. According to CNBC, there are three store categories that are “winners in retail” in 2018. You can read the full article here. Discount retailers are thriving as many shoppers still enjoy seeking out bargains even when they have more money to spend. T.J. Maxx, Ross Stores and Burlington Stores continue to see sales grow at stores open for at least 12 months, as other companies struggle. Off-price retailers are also especially well-positioned to benefit should the U.S. economy slow and force consumers to budget more cautiously. In good times and bad, “the consumer loves a value,” Marie Driscoll, managing director of luxury and fashion for Coresight Research, said. She said millennials are also seeking out off-price channels more and more, making this category of retail’s growth prospects even better as that generation of shoppers gains more spending power. At a time when other retailers like Gap and L Brands are shutting some of their stores, discounters are still growing. TJX, which owns HomeGoods, is now opening stores across the U.S. under a new banner called Home Sense; Ross opened 100 stores last year. And, ironically enough, luxury department store chains like Nordstrom continue to try to copy this model to use it as a way to grow sales where their full-priced shops are struggling. The latest push is by Macy’s with its Macy’s Backstage banner, which it’s putting inside existing Macy’s stores. Nordstrom has Nordstrom Rack, and Hudson’s Bay owns Saks Off 5th. Walmart and Target both stood out as winners in retail in 2018, as these two companies continue to pour money into their businesses to keep pace with Amazon. Target reported unprecedented traffic at its stores — many of which have been remodeled — in 2018, as Walmart has been focused on buying various online sellers to grow digital sales, its latest acquisition being Art.com. Walmart is targeting e-commerce sales growth of 40 percent for 2018. Its online sales grew by 43 percent in the third quarter. Target CEO Brian Cornell, meanwhile, has said he sees “no sign” of consumer spending slowing down anytime soon. Both companies have been trying to keep prices low to stay competitive without sacrificing too much profit. Both have been pushing customers to buy online and pick up in the store, saving on delivery expenses and hopefully enticing shoppers to buy more once inside to retrieve online orders. They’re also adding more of their own in-house brands, which generate fatter profits. “The common elements among [Walmart and Target] is they have stepped up their game in apparel,” Customer Growth Partners owner Craig Johnson said. That’s in addition to their grocery businesses, and it’s what’s helping drive same-store sales, he said. In the new year, analysts will be looking to see if these two companies can keep the momentum going. Walmart is expected to continue to acquire more e-commerce brands, as Target plans to remodel more of its stores and open additional smaller-format locations across the U.S. in urban markets, including New York. The apparel industry is going through somewhat of a renaissance,and it’s largely thanks to a lift in sales of athleisure, or clothes than can be worn to the gym and to run errands. The trend has gained in popularity as players like Lululemon, made famous for its yoga pants, Nike, Adidas and more recently Gap‘s Athleta brand have opened more stores and pushed new products. There are also a slew of e-commerce brands including Outdoor Voices, Alo and Rhone that are built around athleisure and are gaining momentum among younger consumers especially. 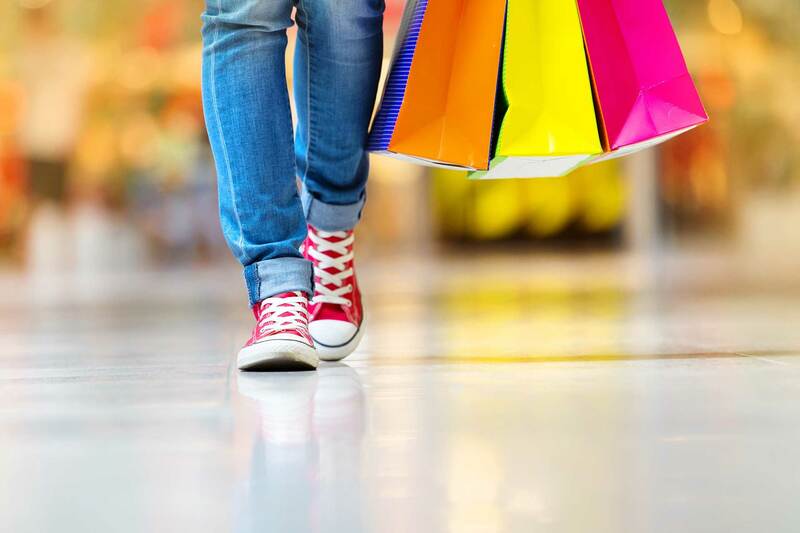 Shoppers increasingly are opting for comfort and casual over fitted and formal. “Lululemon still looks exceptional, and Nike is still the clear winner in the space … with product innovation and customization,” Stacey Widlitz, president of consulting firm SW Retail Advisors, said. In Nike’s latest earnings report, which topped expectations across the board, the company said revenue grew in nearly every category, with footwear and apparel seeing double-digit growth across the globe. Nike has, meanwhile, made headlines for two recently opened stores, one in New York and one in Los Angeles, that offer customized sneakers and other experiences through its mobile app. As Lululemon heads into 2019, it will expand its test of a loyalty program that costs $128 per month and allows members to select a pair of pants or shorts, in addition to offering workout classes and free expedited shipping.